Follows the original formula well enough to simply improve the game play without hurting it. Great improvements and additions. Certain lag issues which randomly occur can ruin the game. The original game got a nice face lift! 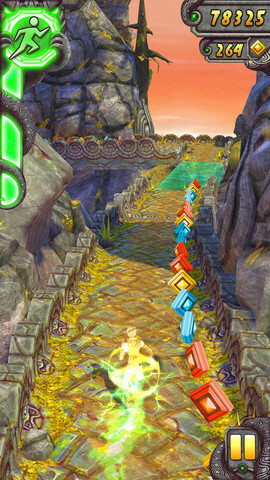 The classic game of Temple Run where your trying to run away with an idol by sliding, jumping, and leaning to avoid evil creatures from getting you. It’s inevitable, you will die, but how far can you make it? The sequel though has added a few new goodies to the mix in order to spice things up. 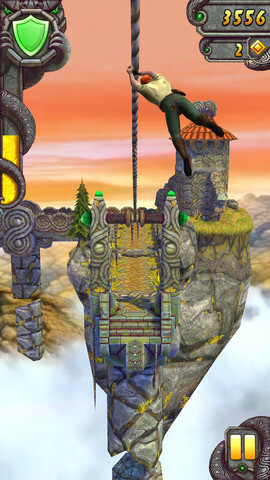 They’ve added zip lines, and mine carts to control with a really nice upgrade to the visuals. The original was an instant classic, and the additions made to the sequel make this game even better! It’s just as fun as I remember the original being which is rare to say about some sequels. 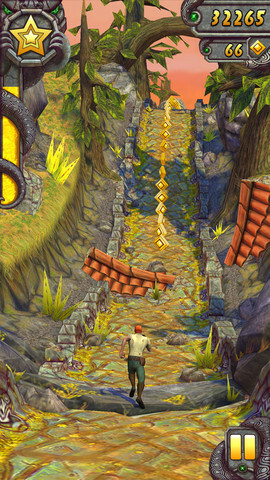 The fact that in-app purchases aren’t forced upon you is a great thing the Temple Run series has going for it self. Granted it’s always good to toss a few bucks to the developers if your having fun playing the game, but it’s good to know that you don’t have to in order to enjoy the game. 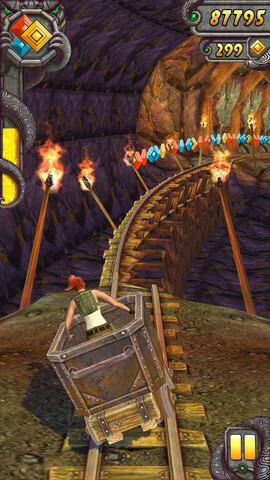 When you first see enter the Miner’s cave, and hop into the cart, that’s the moment you’ll realize how much this game has changed. The visuals added are mostly there to trick you into not moving, which gives it that extra need to focus. They are there to make you miss a turn, and that challenge is great. It’s a free game! Of course everyone should check this game out. Those who played the original are already most likely getting this, it’s the better version anyways. Sure there are in-app purchases for Gems or Coins, to unlock characters, re-starts, or even boosts. The range goes from $.99-$19.99. Which isn’t much compared to other games out there. 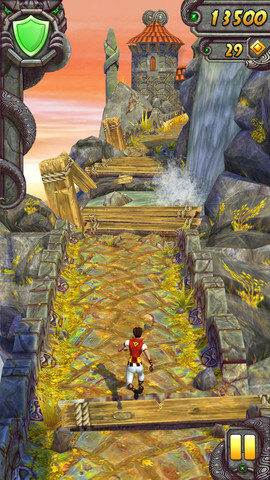 Interested in getting Temple Run 2? I did experience some lag at times which got me angry because any little thing that could distract you in this game is likely to make you fail. When being on a far streak, just the slightest lag could be at fault from a sweet record. Maybe in version 3? It’s likely not to happen, but its always good to have an imagination to go along with the game. Brace for winter! Mobile edition!